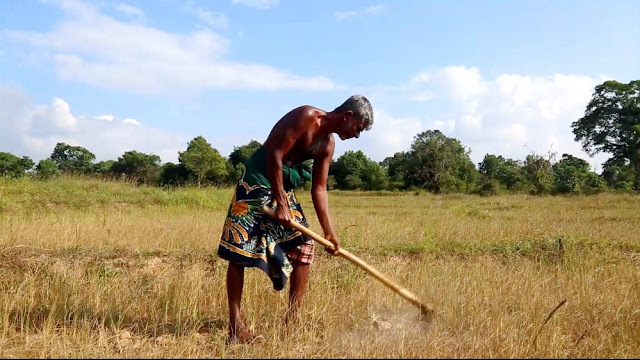 The Big Wobble: Nearly 1 million people affected by severe drought in Sri Lanka: Could be the worst agricultural season in the last 40 years. Nearly 1 million people affected by severe drought in Sri Lanka: Could be the worst agricultural season in the last 40 years. About 709,400 people have been affected by severe drought in Sri Lanka, the Disaster Management Centre (DMC) said on Tuesday. The towns of Gampaha, Monaragala, Kalutara and Trincomalee are among the worst affected areas, Xinhua news agency cited the DMC as saying. The drought has resulted in farmers suffering without adequate water and some villages not even having drinking water. The World Food Programme (WFP) earlier said Sri Lanka was preparing for serious difficulties this year in terms of food and nutrition insecurity until the main harvest in March/April 2017. The expected failure of the main harvest season in March/April 2017 could be the worst agricultural season in the last 40 years. The Ministry of Disaster Management and the External Resources Department of the Ministry of National Policies and Economic Affairs have requested drought-related support from WFP, in particular cash for work/food assistance for asset creation. WFP is deciding on response options while awaiting the government's formal request for assistance to the international community. The report submitted to a sub-cabinet ministers meeting on January 3 was pivotal in alerting government and other stakeholders to the severity of the drought. WFP and the government will lead a joint emergency assessment this month to assess the impact of the drought on household food security and livelihood. Meanwhile, the Department of Meteorology said rain was expected in some parts of Sri Lanka this week.